Hibbett Sports, Inc. reported fourth-quarter earnings rose slightly but came in well above Wall Street’s targets. The retailer also announced plans to close 95 stores this year as part of an “accelerated store closure plan” and a transition plan with the pending retirement of CEO Jeff Rosenthal. Net sales for the 13-week period ended February 2, 2019, increased 14.7 percent to $306.0 million (including $49.1 million for City Gear), compared with $266.7 million for the 14-week period ended February 3, 2018, (including $13.5 million for the 53rd week). Comparable store sales increased 3.8 percent on a 13-week to 13-week basis. Comparable store sales will not include sales from City Gear until the fourth quarter of Fiscal 2020. E-commerce sales represented 10.6 percent of total sales for the fourth quarter. Gross margin was 31.1 percent of net sales for the 13-week period ended February 2, 2019, compared with 31.5 percent for the 14-week period ended February 3, 2018. The decrease was mainly due to a $1.9 million expense incurred to amortize an inventory step-up value related to the City Gear acquisition. Excluding acquisition costs, non-GAAP gross margin was 31.7 percent of net sales for the 13-week period ended February 2, 2019. The fourth quarter of Fiscal 2018 included a non-recurring charge $0.9 million to establish a reserve against the company’s Team Division inventory as a result of selling the business. Store operating, selling and administrative expenses were 25.5 percent of net sales for the 13-week period ended February 2, 2019, compared with 23.2 percent of net sales for the 14-week period ended February 3, 2018. The increase was mainly due to $2.8 million in non-recurring costs related to the acquisition of City Gear, and $0.3 million in non-recurring severance costs due to the elimination of 30 positions in the field organization and corporate office in order to streamline operations. Excluding non-recurring costs, non-GAAP store operating, selling and administrative expenses were 24.5 percent of net sales for the 13-week period ended February 2, 2019. The fourth quarter of Fiscal 2018 included a non-recurring gain of $3.1 million due to the sale of the company’s Team Division. Net income for the 13-week period ended February 2, 2019, was $6.6 million compared with net income of $9.7 million for the 14-week period ended February 3, 2018. Excluding non-recurring costs, non-GAAP net income for the 13-week period ended February 2, 2019, was $10.5 million. Earnings per diluted share were 36 cents a share for the 13-week period ended February 2, 2019, compared with earnings per diluted share of 51 cents for the 14-week period ended February 3, 2018. Excluding non-recurring costs, non-GAAP earnings per diluted share were 57 cents for the 13-week period ended February 2, 2019, compared to Wall Street’s consensus estimate of 39 cents. Earnings per diluted share for the 14-week period ended February 3, 2018, included a non-recurring gain of 7 cents per diluted share due to the sale of the company’s Team Division, and a benefit of $0.08 per diluted share due to the 53rd week in Fiscal 2018. For the quarter, Hibbett acquired 136 City Gear stores, opened 12 new stores (including 2 City Gear stores), expanded one high-performing store, and closed 27 underperforming stores bringing the store base to 1,163 in 35 states as of February 2, 2019. As the retail environment continues to evolve, the company is focused on improving the productivity of the store base while continuing to grow its omnichannel business to serve customers where and when they want to shop. As a result, subsequent to the year ended February 2, 2019, the company has decided to close approximately 95 Hibbett stores in Fiscal 2020, while opening 10 to 15 new Hibbett and City Gear stores. This is expected to result in non-recurring impairment and store closure charges in the range of 15 to 20 cents per diluted share in Fiscal 2020. Associates will be extended opportunities to transition to similar positions at other Hibbett stores wherever possible. Net sales for the 52-week period ended February 2, 2019, increased 4.2 percent to $1.0 billion compared with $968.2 million for the 53-week period ended February 3, 2018. Comparable store sales increased 2.2 percent on a 52-week to 52-week basis. Gross margin was 32.6 percent of net sales for the 52-week period ended February 2, 2019, compared with 32.3 percent for the 53-week period ended February 3, 2018. Excluding acquisition expenses related to the $1.9 million amortization of an inventory step-up value, non-GAAP gross margin was 32.8 percent for the 52-week period ended February 2, 2019. The 53-week period ended February 3, 2018, included a $0.9 million non-recurring charge to establish a reserve against the company’s Team Division inventory as a result of selling the business. Store operating, selling and administrative expenses were 26.2 percent of net sales for the 52-week period ended February 2, 2019, compared with 23.9 percent of net sales for the 53-week period ended February 3, 2018. Excluding costs relating to the acquisition of City Gear of $4.3 million and non-recurring severance costs of $0.3 million, non-GAAP store operating, selling and administrative expenses were 25.7 percent of net sales for the 52-week period ended February 2, 2019. The 53-week period ended February 3, 2018, included a non-recurring gain of $3.1 million due to the sale of the company’s Team Division. Net income for the 52-week period ended February 2, 2019, was $28.4 million compared with $35.0 million for the 53-week period ended February 3, 2018. Excluding non-recurring costs, non-GAAP net income for the 52-week period ended February 2, 2019, was $33.3 million. Earnings per diluted share for the 52-week period ended February 2, 2019, was $1.51 compared with $1.71 for the 53-week period ended February 3, 2018. Excluding non-recurring costs, non-GAAP earnings per diluted share was $1.77 for the 52-week period ended February 2, 2019. Earnings per diluted share for the 53-week period ended February 3, 2018, included a non-recurring gain of $0.07 per diluted share due to the sale of the company’s Team Division and a benefit of $0.07 per diluted share due to the 53rd week in Fiscal 2018. For the year, Hibbett acquired 136 City Gear stores, opened 32 new stores, expanded or relocated 10 stores and closed 84 underperforming stores. 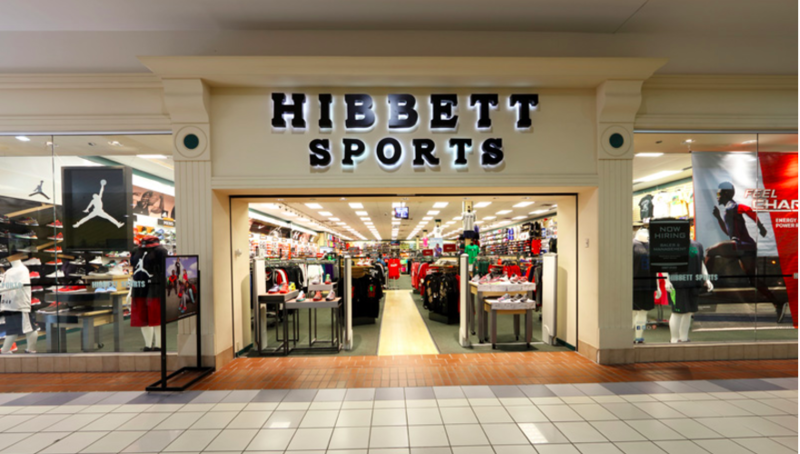 In a separate statement, Hibbett Sports Inc. announced the planned retirement of Jeff Rosenthal, president and chief executive officer. The Board will commence a search process to identify the company’s next CEO, and Rosenthal will remain at the company in his CEO capacity until a successor is named. Hibbett ended the fourth quarter of Fiscal 2019 with $61.8 million of available cash and cash equivalents on the consolidated balance sheet. As of February 2, 2019, Hibbett had $35.0 million in debt outstanding and $65.0 million available under its credit facilities. During the fourth quarter, the company repurchased 3,900 shares of common stock for a total expenditure of $0.1 million. For Fiscal 2019, the company repurchased 775,951 shares of common stock for a total expenditure of $16.5 million. Approximately $188.0 million remained authorized for future stock repurchases through January 29, 2022. Earnings per diluted share in the range of $1.50 to $1.70, which includes $0.25 to $0.35 per diluted share for non-recurring costs associated with the integration of City Gear, and costs associated with store closures. Excluding non-recurring costs, non-GAAP earnings per diluted share are expected to be in the range of $1.80 to $2.00. Comparable store sales in the range of -1.0 percent to 1.0 percent. Approximately 10 to 15 new store openings with approximately 95 store closures. Decline in gross margin rate in the range of 25 to 45 basis points. Excluding non-recurring costs for both years, non-GAAP gross margin is expected to decline in the range of 35 to 55 basis points. Increase in SG&A expense rate in the range of 15 to 25 basis points. Excluding non-recurring costs for both years, approximately flat as a percentage of sales. Decline in depreciation expense in the range of 10 to 20 basis points. Tax rate of approximately 24.5 percent. Capital expenditures of approximately $18.0 million to $22.0 million. Share buyback of approximately $10.0 million to $15.0 million. Full repayment of $35.0 million in debt related to the City Gear acquisition.